If you have lost all your natural teeth, whether, from periodontal disease, tooth decay or injury, complete dentures can replace your missing teeth and your smile. The new technology and advances in dentistry make it possible to produce dentures that look better, feels better, and lasts longer. Without the support of dentures, facial muscle sags, making a person look older. You will be able to eat and speak things that people often take for granted until their natural teeth are lost. A denture or a complete denture as it is often called is an appliance that replaces all of the natural teeth on an arch that has been lost or will be lost. Most dentures are made of acrylic and have flanges on the lip side and some forms cover the palate. Conventional dentures replace a full arch of teeth and are made after all teeth have been extracted and tissues (gums) have healed. A palatal coverage with acrylic is a necessity in order to create a vacuum. 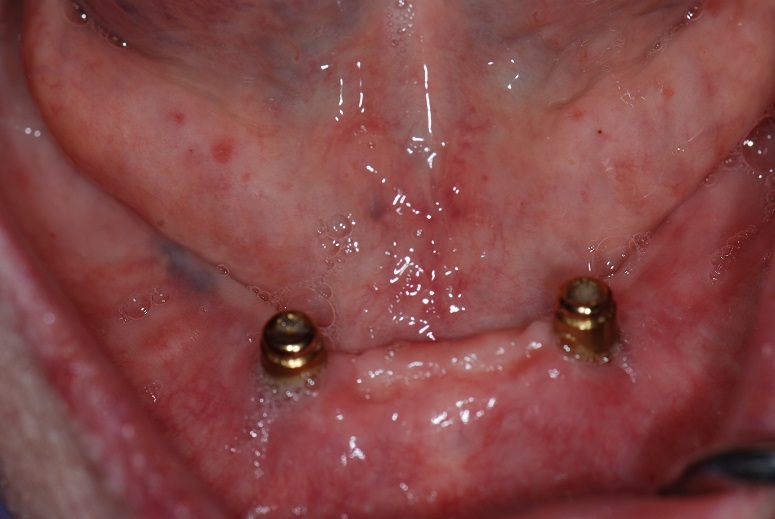 This is a retentive mechanism conventional upper denture. There is little or no vacuum created on the lower arch with dentures and with Dr. Bandary’s expertise, stable lower dentures are fabricated. An immediate denture is fabricated and inserted immediately after the teeth are extracted to allow the tissue to heal under the denture. But this type of denture needs to be relined a few times during the healing process of the bone and soft tissue after extraction. 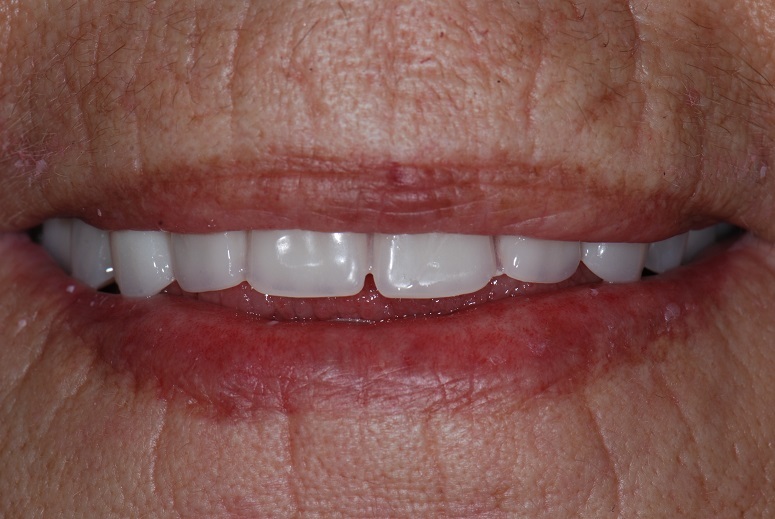 A new denture will be needed to be fabricated once the ridge has healed. Overdentures are dentures made to fit over the teeth or implants. Both of these add support to the denture stabilization. 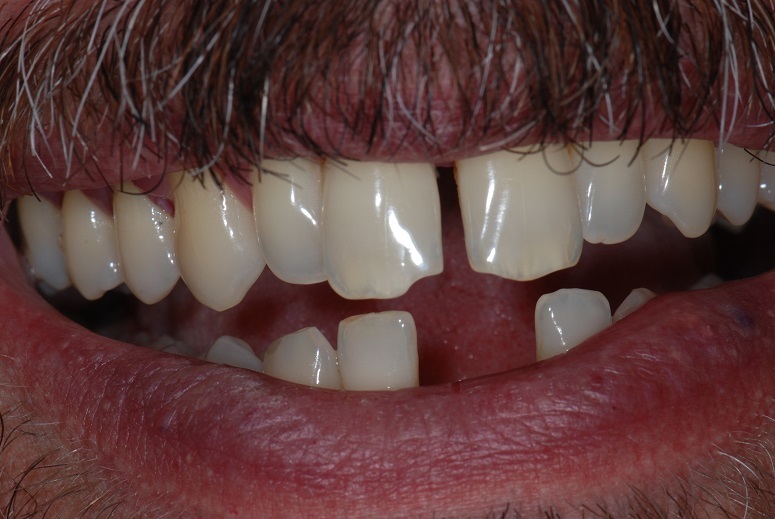 Implant overdentures are extremely helpful in adding retention and stability if a conventional denture is unstable. 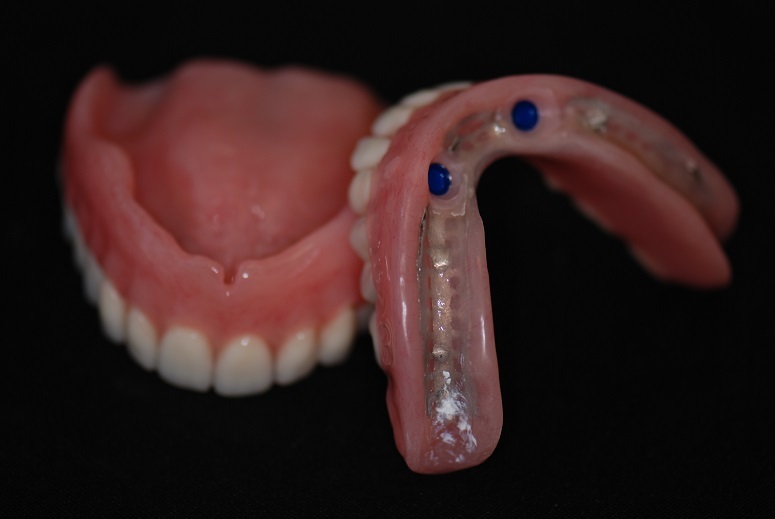 This type of prosthesis is especially helpful for the lower arch where obtaining suction is almost impossible The various types of overdentures and on implants vary from two or more single attachments (locators), bars, fixed detachable dentures, etc. Dr. Bandary will help you determine which form of attachment methods will work best for you. The process of getting new dentures requires several appointments usually over the course of three to four weeks. If you lost your denture and need a new one as soon as possible, Dr. Bandary’s denture clinic can fabricate the denture as soon as two weeks or less. Please ask the front office for more details. Removable dentures supported by implants: This solution is best for patients who want removable dentures but do not have the necessary bone strength to support the prosthesis. The addition of implants for support may allow some patients to achieve a greater degree of comfort and stabilization. Removable dentures snap onto the dental implants for a secure fit yet are easy to remove each night. Example include locators or bar attachments. Fixed dentures supported by implant (the All-On-4 procedure): are dentures that are secured to the implants with the screws. Denture plates are only removed by dentists during routine cleaning. This approach gives the patients the look and feel of natural teeth as it is not removed for daily cleaning. Most of the time, for the upper jaw, fixed dentures can be made without a palate. 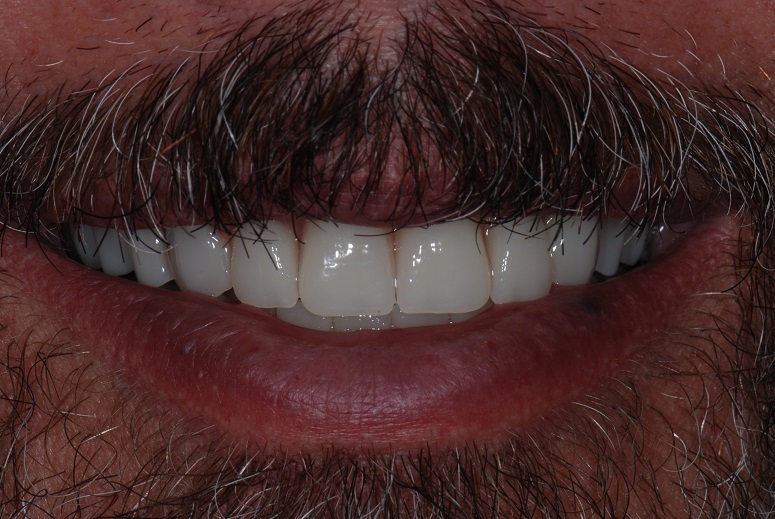 All-on-4 is one of the most popular options for fixed dentures. The patient receives four or more dental implants and then receives fixed and permanent prosthesis supported by the implant. The procedure can be done in a single visit and is one of the most popular denture procedures.